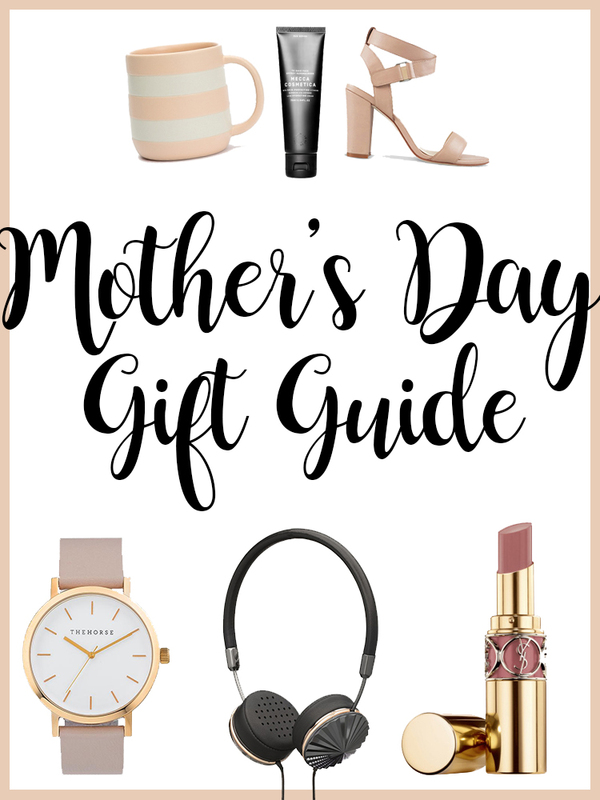 With Mother's Day quickly approaching I thought it would be best to put together a little gift guide. If you have a mum that is hard to buy for (or you're really good at leaving things to the last minute) hopefully this will be helpful! I've separated this guide into four sections to make it a little easier depending on what your mum likes/needs. If your mum is anything like mine, she doesn't spend a great deal on herself. So Mother's Day is the perfect excuse to spoil her. - Mecca Cosmetica To Save Face Superscreen SPF 50+ This is my favourite sunscreen. I've actually gotten my mum (and dad) hooked on it too! It's lightweight and doesn't leave the skin feeling greasy. If you have a mum that is more of a makeup minimalist, or just knows the importance of a good SPF then this is a great choice. - YSL Rouge Volupte Shine This is my pick for giving your mum something a little more indulgent. If you want to treat your mum with a high end makeup buy then this gorgeous lipstick is hard to look past. - Drunk Elephant B-Hydra Intensive Hydration Gel Now I've never actually tried this product, but I hear so many people raving about it! Drunk Elephant has been majorly on my radar and this is the product I would give my mum from their range. - IT Cosmetics Your Skin But Better CC Cream with SPF 50 I can't rave enough about this CC Cream! Packed with SPF and good coverage too, this is worth picking up for your mum. - All About Eve Jessie Coat Winter is on it's way and what better way to welcome it than with a new coat! - Seed Pleat Pant Whether it's to wear to work or a nice dinner out, these pants would be flattering for so many different body shapes. - Wittner Ralexx Heel I have these heels and they are the most comfortable I have ever worn! - Peter Alexander Buffalo Check Fashion PJ Set If your mum enjoys being comfy at home (who doesn't?) then you can't go past a set of Peter Alexander PJs. - Glasshouse Rendez-Vous Triple Scented Candle A candle is a great gift for when you're not quite sure to get. Something that smells good and looks pretty is always a good choice. - West Elm Faceted Metal Vases These are a little different and totally cool. If your mum has a more eclectic style, this may be the gift for her. - Mercer + Reid Prague Quilt Cover How pretty is this quilt cover? Adair's always have really great picks that are perfect for Mother's Day. - Country Road Striber Mug Along with a candle, is there a more classic Mother's Day gift than a mug? There are so many really gorgeous mugs on the market at the moment and Country Road have such good options. - SakuraAccessories Pressed Flower Phone Case A cute phone case is a more affordable option if you're on a budget. - The Daily Edited Black Laptop Case If you have a working mum then this is a really nice way to treat her! - FRENDS x Swarovski, Layla Gunmetal with Crystals Frends make the cutest headphones, so if you're mum is into music then this might be the perfect gift for her. - The Horse Polished Rose Gold / Blush Leather Watch A simple, classic watch is something that suits everyone and The Horse make some really gorgeous ones. What will you be gifting your mum this Mother's Day? Or if you are a mother, what do you hope to get? 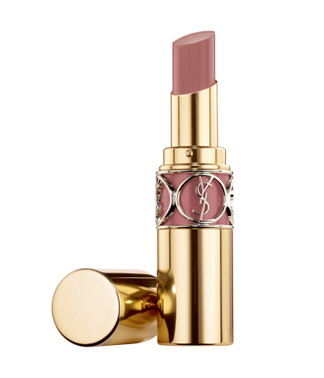 Huge crush on the YSL Rouge Volupté Shine! I wore one of them today and so love it! I am dying to pick some up. I swatch them every time I walk past but I can't pick a shade! It's one of my favourites, it makes any outfit special. Honestly, this gift guide looks a lot like what I want for every birthday & Christmas. Hehe - I love PJ's, makeup, phone cases, watches oh and did I mention PJ's?! Haha pyjama fanatic over here! Great post - can't wait to see your next gift guide! Honestly, I could be gifted only PJs forever and I would be happy. I live in them on the weekends! The It Cosmetics CC cream and The Horse watch are on my wishlists! Great gift guide! Loving the gorgeous YSL Rouge Volupte Shine lippie and the gold Glasshouse Candle is so pretty too! Glasshouse Candles are impossible to go wrong with! Oooh that's a good idea! This is such a lovely gift guide and I love that you split it up into sections to try and find something for everyone. That watch and YSL lipstick look so gorgeous! Thank you so much! :) The watch is one of my favourite picks! Totally LOVE this gift guide!! Thanks for sharing all these picks!! That scented candle will work perfectly for my mom! !